I started reading with my babies from the start. It was something to do to occupy the time, and to build a connection. If the baby is looking away or seems overstimulated, I would simply put the book away. In going through my favorite tips for reading with babies, I’m using SHHH by Kevin Henkes to show how we put each tip into practice. In SHHH, a little girl wakes up, and realizes everyone in the house is sleeping. She sees her toys, her parents, her dog, the baby: all asleep. So she does what any toddler would do: she wakes them all up! 1. Get Cozy: Get comfortable, and settle your baby in a favorite spot- your arms! I picked up the book, sat down, and opened my arms asked my son if he wanted to come read. (He did. This usually works.) For non-mobile babies, just scoop them up and settle them in your lap. 2: Expression and Tone: Make facial expressions and use gestures to mimic what is happening in the story. Read with emotion. If it’s night, use a soft voice, if someone is surprised, gasp. I whispered for most of the story when everyone was asleep, and then when the little girl in the book wakes everyone up, I read excitedly, waving my arms around and bouncing my son, making him laugh. 3. Point: Use your fingers to point to what is being discussed in the story. I pointed to each person as they slept, the toys on the shelf, different things in the room as I read about them. 4. Ask your baby questions. As we read, I asked questions like, “Where’s the dog?” And then I would let my son point it out to me. 5. Sometimes just look at the pictures. Many children’s books, including this one, have beautiful illustrations, with a lot going on. Sometimes it is fun to just page through the books, talking about the action. 6. 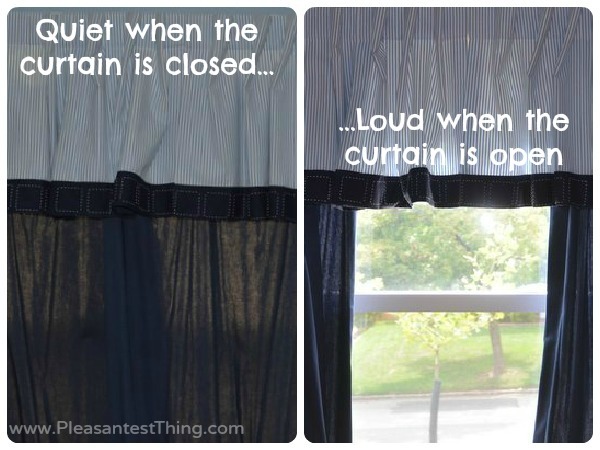 Relate things in the story to your baby’s experience. I got out our instruments before we read the book. As we read, I pointed to the drum in the book, and then my baby’s drum, and said, “Here is the drum in the book, and here is your drum.” We also did this for stuffed animals and beds. 7. 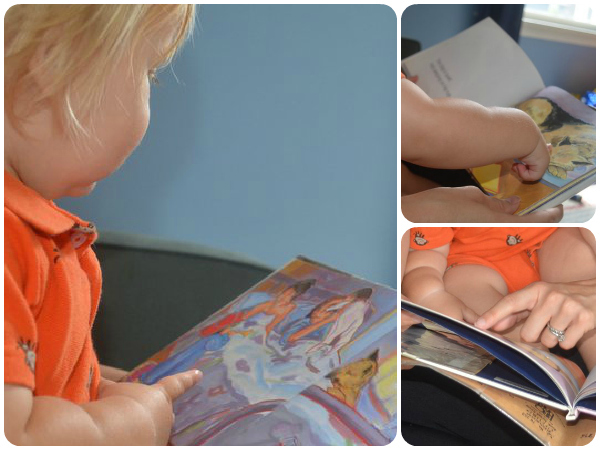 Let older babies work on turning the pages of board books. Show them the right way to turn pages without tearing- grasping between 2 fingers and thumb. Several times while this book, we just paged back and forth. I just figured that he was getting in some good fine motor practice. 8. Don’t force it. You want this to be a fun experience. If your baby has had enough, try again later. 9. Recreate scenes in the book. 10. Start as early as you want. Even the youngest babies benefit from reading. The sound of your voice is comforting, and babies love snuggling. 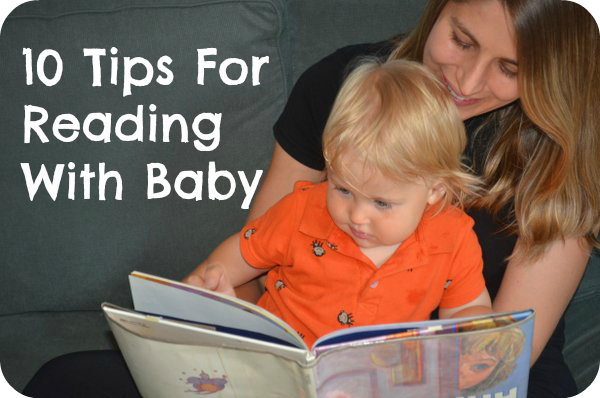 What are your tips for reading with babies? Disclosure: Affiliate links were used in this post.